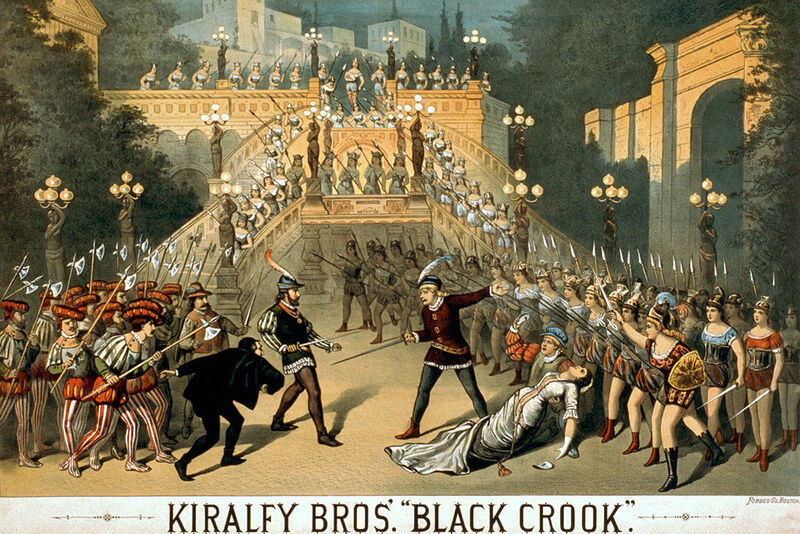 Kurt of Gerolstein: Mary Wells: From Boucicault to burlesque to "The Black Crook"
Mary Wells: From Boucicault to burlesque to "The Black Crook"
I’ve found a new way of picking my ‘subject for the day’. See what the best picture is on ebay and go for it! Today, the grand Mary Wells turned up … and I was feeling shopping’n’sunbathy … so I decided on her. Because I’d already sort of ‘done’ her, when I was writing my Lydia Thompson biography, and prepared little biogs of Lydia’s co-workers, which in the end I didn’t use. So here is Mary in character … as…? The stock company at Wood’s Museum was not made up entirely of wannabe actresses related to the manager. There were also some capable and established local performers amongst the troupe and, given the range of roles to be covered, not all of them were sweet sixteen years of age. In fact, the ‘first old woman’ of the company, ‘tall and stately’ Mary Wells was all of forty, and long a well-known player in class companies, when she appeared for a little while with the Thompson troupe. I’m pushing it a little classing Mary Wells as any sort of a ‘Blonde’, but the fact remains that she did play in burlesque for a time with the Thompson company at Wood’s Museum, and therefore must not be ignored. Mary was born in England – in Lincoln, so her long Clipper obituary said, affirming at the same time that the event took place 11 December 1829. An English paper picking up the news, made it 1820. I can’t find either. But I cannot see why one would profess to be born in Lincoln if it weren’t true. 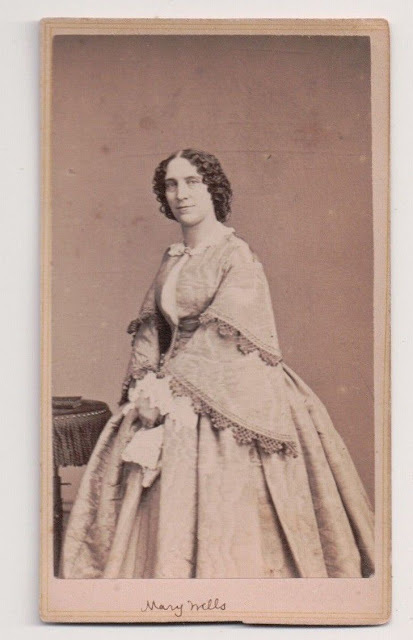 The same obituary says she made her first stage appearance on 3 December 1850 at Albany. 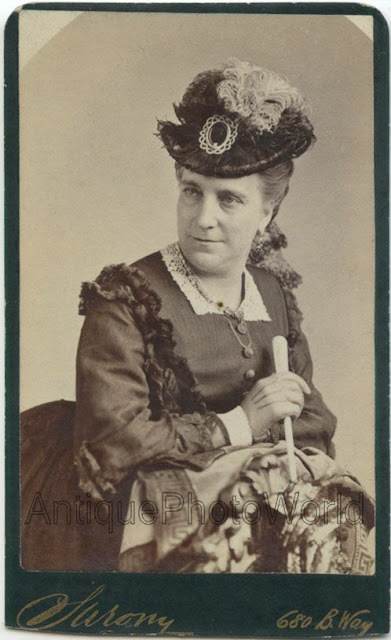 An excellent book on the Albany Theatre says she was born 1827 and made her first appearance on any stage as Fanny Tubbs in The Ocean of Life on 28 December 1850. Only a programme would decide who it right! The same book says she ended her time at Albany 14 June 1852. I first pick her up in Buffalo and Rochester in 1853 (‘tall and stately and while not handsome had an interesting face’). She is already, in her twenties, playing the ‘old woman’ character roles which would become her speciality. 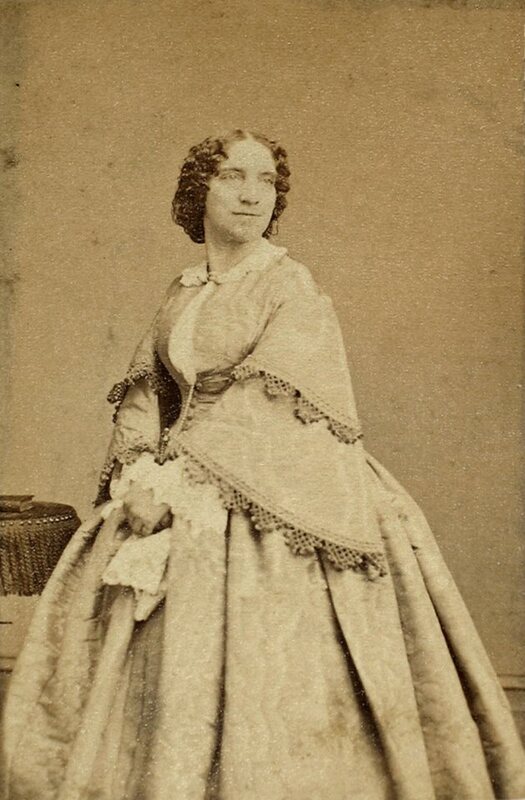 In 1856 she joined Laura Keene’s company for her first New York appearance, playing Mme Deschapelles in The Lady of Lyons and she remained with Ms Keene, playing mothers and madames and statuesque dames (Mrs Mountchessington in Our American Cousin, Hippolyta in A Midsummer Night’s Dream &c) for three seasons. From Keene’s, she moved on to Niblo’s Garden where she took the part of Missisarris ‘a duenna ready to do anything to hitch with Peddagogus’, as played by Davidge, in the burlesque The Race-course of Love, otherwise She Stoops and Doesn’t Conquer,which had once been Talfourd’s Atalanta.She was to stay for seven seasons at Niblo’s, playing character roles from Mrs Candour to Lady Franklin in Money, Shelagh in The Colleen Bawn, Regan in King Lear, and Elsie of the Glen in The Connie Soogar, while also appearing when the occasion demanded in burlesque or extravaganza. In that way, she appeared as another vain duenna, Dame Barbara, in a critically panned, but leggy, new Niblo’s show entitled The Black Crook. 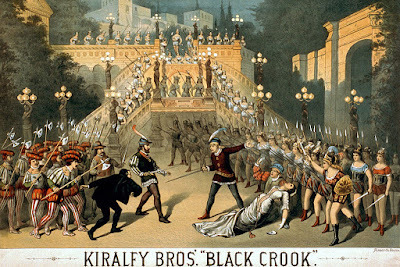 She played Queen Safronilla in The White Fawn, a more coherent attempt to repeat the Black Crook formula at Wallack’s Theatre, and then in 1868 joined the company at George Wood’s new theatre. She didn’t take part in the original Blonde show of Ixion – the role of Minerva which she would later play was taken by Harry Beckett – but when it was followed up by Ernani she was there as, of course, ‘Jacinta, a Duenna, appointed to take care of Elvira, but by no means disinclined to take care of herself’. 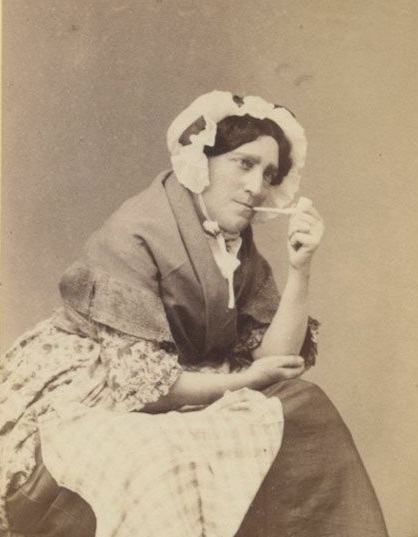 When the Thompson troupe moved on from Wood’s, Mary said goodbye to them, and went on to engagements at the Lingards’ Theatre Comique, at Philadelphia’s Arch Street, at Selwyn’s Theatre, Boston, and in 1870 at Booth’s Theatre playing the shrewish Gretchen to Jefferson’s famous Rip van Winkle. Just occasionally, she came up against other and blonder ex-Blondes. Emma Grattan joined the Booth’s Company … Edith Blande that at the Fifth Avenue … But these were the real singing, dancing, be-tighted blondes of yore. Mary Wells wasn’t that. I don’t think I ever see her listed for a song. Although she was known to break into a merry jig in an Irish play. 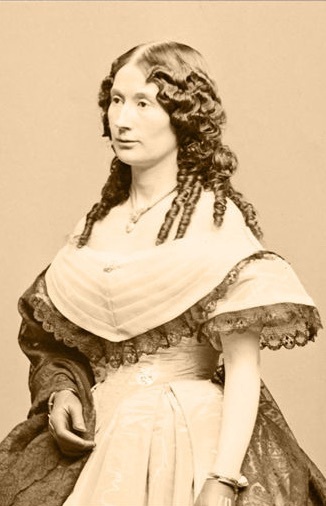 She was simply the classic duenna of the American Victorian Theatre. The prototype of the Katishas and Lady Janes to come in the next decade. But Mary didn’t make it to the next decade. The cancer returned, and she died at her home in New York ‘aged 49’ in 1878. So I guess the English report was an error. But she was given her due in sizeable obituaries by the theatre press: ‘one of the best “old women” in the New York Theatre’. I don’t know whether Mary was born as Mary Wells or not. The name was that of a well-known English actress who died in 1829, so maybe it was simply a nom de théâtre. She died as Mary Stapells or Stoepels, the wife of hairdresser turned theatrical treasurer and agent Richard Stapells (apparently né Staples 1832-1891) whom she married, as Mary Wells, at St Clement’s Church, New York, 13 June 1867. His aunt, Eliza Ann Staples (Mrs Richard F) Medhurst, widow of another hairdresser, was witness. But in 1858, already, the press refers to Mary as a married woman. So was Mary twice wed? I’m working on that one. I wonder who is the 17 year-old Susan Burgess living with the couple in the 1870 Boston census. I see, on the Findagrave website, that Mary lies in Cypress Hills Cemetery. She is buried as Mary Staples … born 1829 … oh, well.